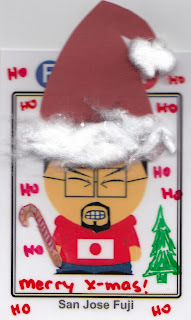 This will be my last blog post of 2011 and it's that time of the year. It's time to reflect and see how many hobby goals I managed to meet. Did I spend $1,800 on cards this year? Probably not... but then again... I don't really know because I didn't keep track of my spending (like I said I would). 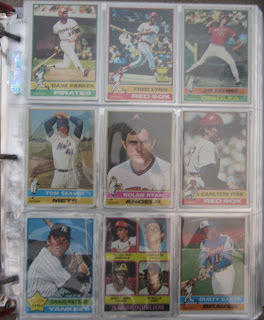 This year, I added two new PC's: Steve Carlton & Athletes from Hawaii. I started off on pace to meet this goal, but lost interest in trading in May. I ended 2011 with a SCF trader rating of 218. I played a passive role when it came to trading in 2011... mostly letting people come to me for trades... and in the end, I fell four short of meeting my goal. 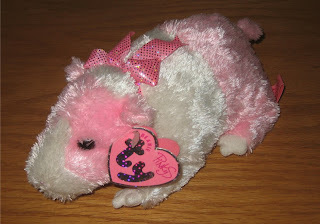 I hope to climb out of my shell and seek trades on a more regular basis in 2012. 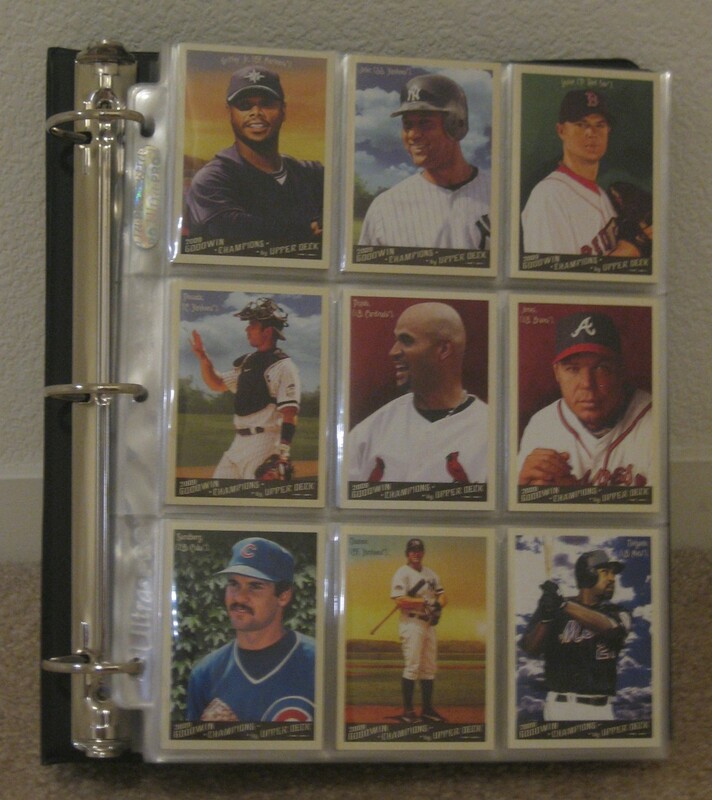 I recently secured the final card in my 2000 Fleer "Club 3000" insert set. Unfortunately, I ended up adding the 2008 UD Masterpieces "Captured on Canvas" football relic set to my plate... so I'm still working on nine sets. 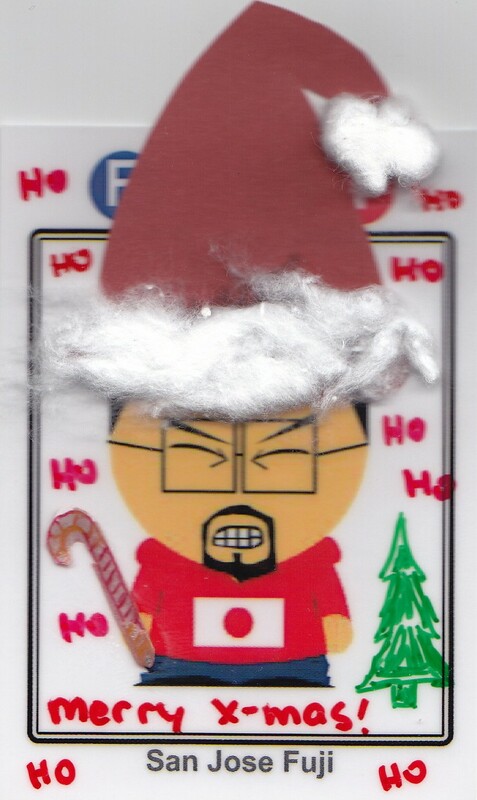 I donated some cards to Goodwill, but I have no idea if it was in 2011. This is one of those goals that I think I did, but I don't have any proof of it. 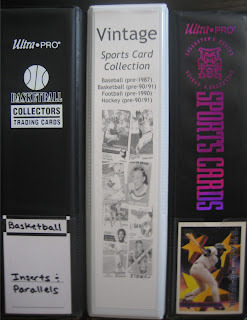 I only added 7 Sports Card Trifectas to my collection in 2011, but I plan to work on building more of these in 2012. 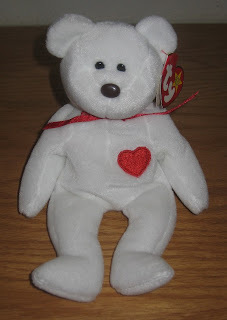 At the start of 2011, I authored 158 posts for this blog. 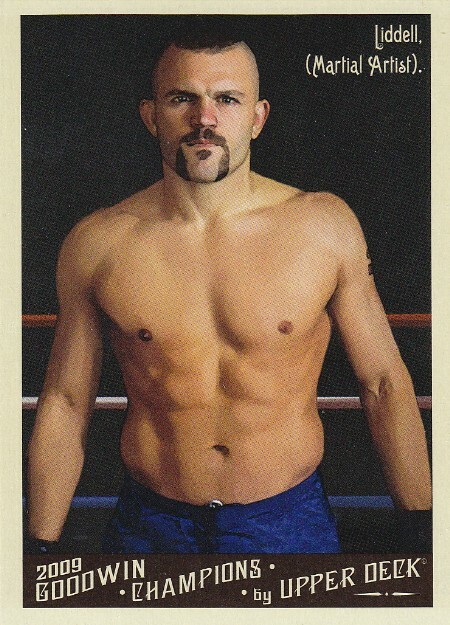 As we close out the year with my final post of 2011, this is my 397th post, which means that I easily met this goal. I also managed to more than double my followers in 2011... going from 56 to 120. I realize that 120 people don't read my blog on a regular basis, but I'm guessing around 10% do (which means that I probably went from around 5 or 6 regulars... to 11 or 12 in one year... that's flippin' awesome! I don't even remember setting this goal and ended up only having one contest... my annual summer contest. The fact is... I love the "giving away" and "blogger interaction" part of holding contests, but hate the "shipping & postal rates" part. Which is why I'll stick to one contest with a bunch of prizes. I won't even attempt to list the number of cardboard comrades I've met since I started this blog... in fear of accidentally leaving someone off the list. But I hold in high esteem each and every one of you. As for my attitude towards this hobby... I still LOVE it. And I feel pretty certain my posts were more "positive", than "negative"... but I'll let you be the judge. If this were one of my student's scores and I was grading them, I'd have no choice but to give him/her a big fat "F". But... I'll learn from my mistakes and take this experience into account when I create my 2012 goals. Okay... this post is way too long. Next year, I promise all of you... one of my goals will be to keep the "rambling" down to a minimum. I hope all of you have a safe and enjoyable New Year's Eve. See you next year! Sayonara! 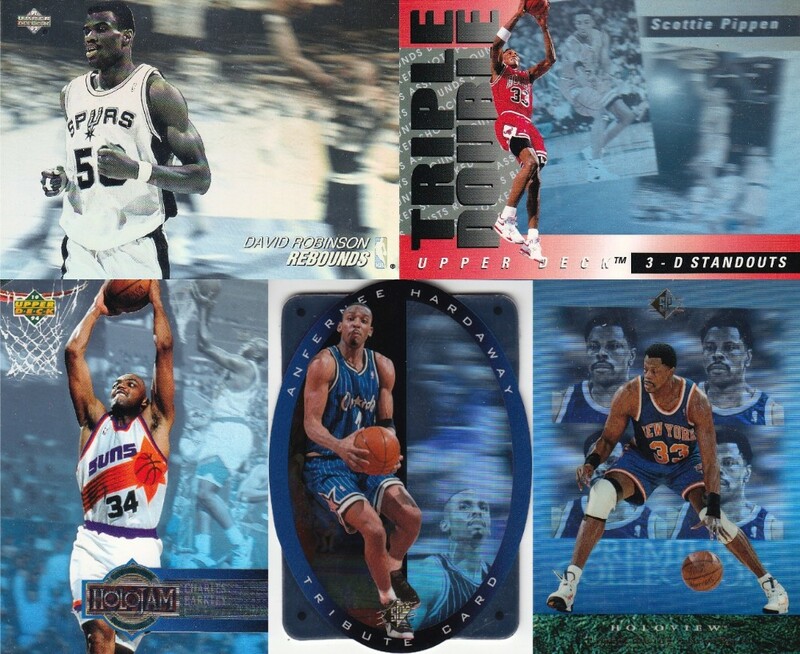 Is this the first insert I ever pulled? 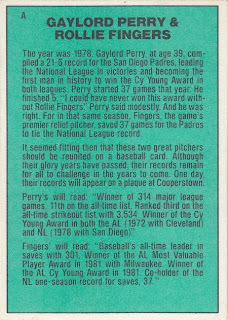 Perry & Fingers were paired on this card in honor of the 1978 season together on the San Diego Padres... a season that saw Perry become the first pitcher in MLB history win a Cy Young Award in both leagues... and Fingers tie the (then) NL single season save record with 37 saves, which earned him the 1978 NL Rolaids Relief Award. 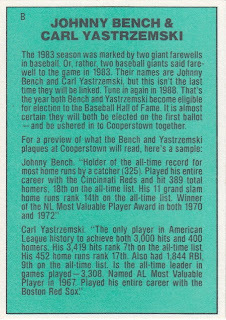 Donruss used this card to honor the retirement of two baseball legends... both 1st ballot HOFer's (as predicted on the back of the card). 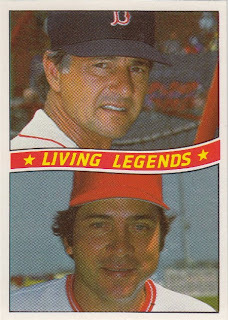 The Bench/Yastrzemski card was recently purchased off of COMC for $.50, but the Perry/Fingers has been in my collection since the day I freed it from it's wax wrapper back in 1984. 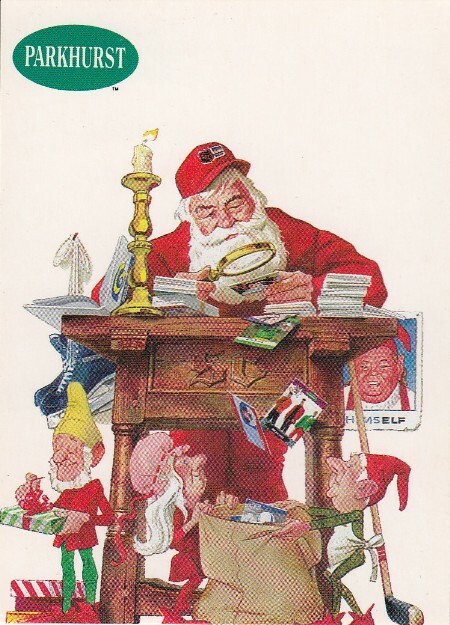 I remember sitting at my family room table thinking, "what the heck is this card?". And, "why is there a letter instead of a card number?". 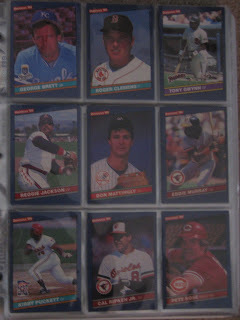 Back then there weren't any card shops in my neighborhood and I didn't own a price guide with information on this set. As for checklists... I don't remember exactly which ones I owned. 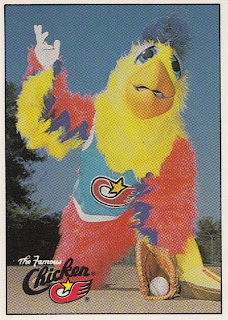 But even if I did have the last unnumbered one, it only lists cards numbered up to #651 (The San Diego Chicken). Which means... 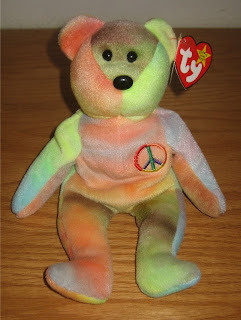 I was one confused kid. In fact, I'm still confused. Do you consider the two Living Legends cards from the 1984 Donruss set to be base cards or inserts? 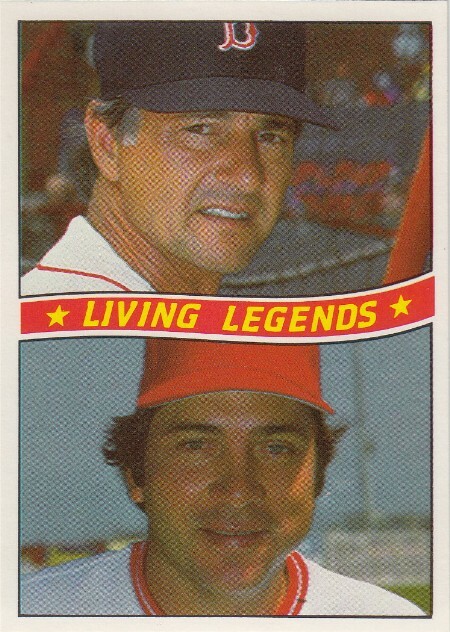 According to Beckett, these two cards were "issued as bonus cards in wax packs, but were not issued in the factory sets sold to hobby dealers". Sounds like insert cards to me. Either way... all four of these Living Legends ended up in Cooperstown. Hopefully, Mr. Chicken will receive his call to the hall in the near future. 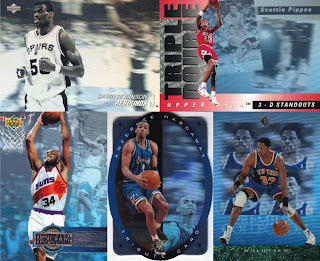 Do you remember the first insert you ever pulled? If so, what is it? What's the oldest insert card in your collection? Happy Friday! Hope everyone has a safe holiday weekend. Sayonara! I finally came to the conclusion that I needed to do something about the mess on my office desk. It has been cluttered for nearly two months as cards have slowly accumulated into mounds. So, last night... I decided to do something about it. 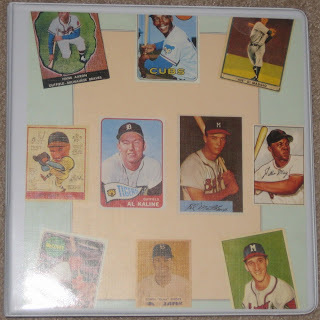 Simply put... it's a binder for all of my vintage cards that aren't high-end, but at the same time hold some sort of value (either sentimental or collector value) to me. I debated on whether or not to organize it alphabetically or chronologically... and in the end I chose the latter. After that, I had to decide on a cutoff year. At first, I went with 1979... since anything pre-80's is what I consider to be vintage. 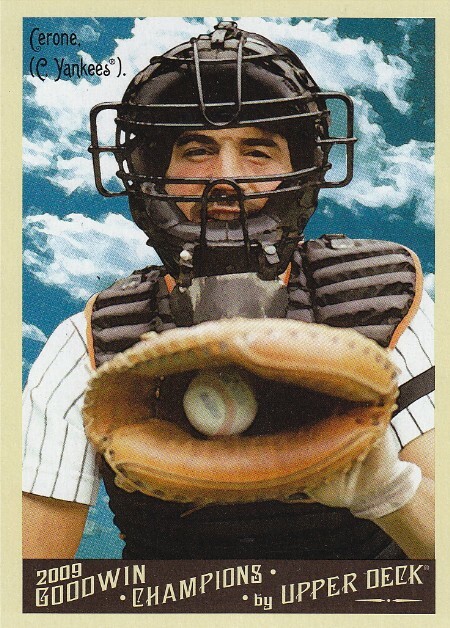 But then I realized... there are just too many cool cards in the 80's to leave out. 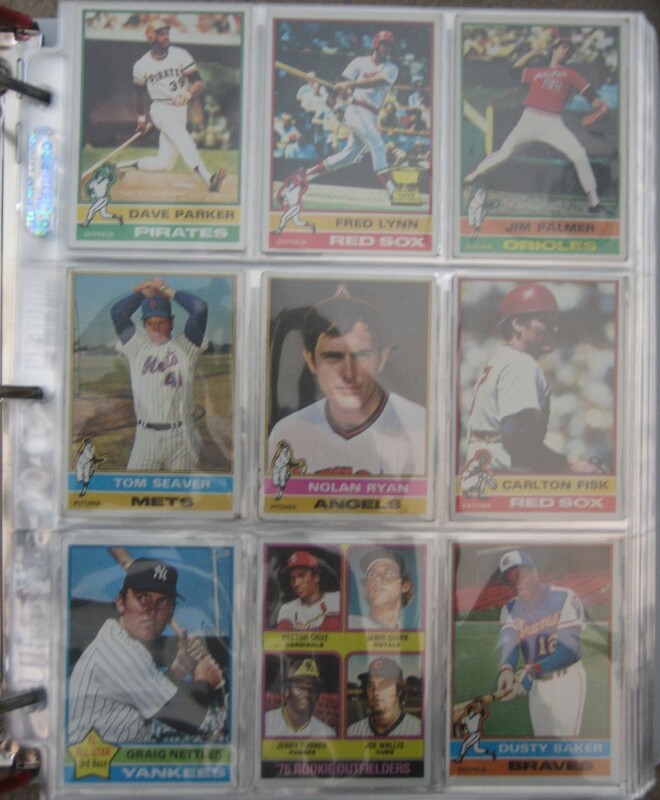 In the end, I decided to make 1986 the cutoff year for baseball... since 1987 was the first year I started to buy cards in "bulk". As for football, basketball, and hockey... 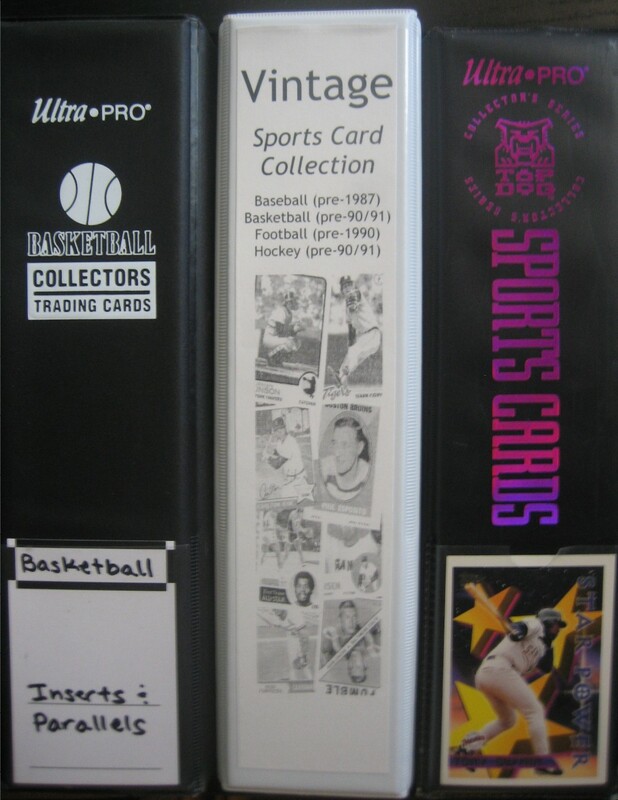 I extended it to 1989... seeing that I didn't start collecting those sports until the early 90's. I'm pretty happy with the results, because it reduces clutter and gives me a place to put my lower end vintage cards. 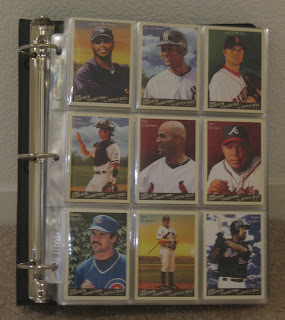 Plus it fits perfectly on my shelf between my 90's Basketball Inserts PC binder & my Tony Gwynn PC binder. Up next: Sorting through Top Loaders & Card Savers... and determining which ones are worth keeping... and which are headed to the dumpster. What do you do with the Top Loaders/Card Savers that are no longer pleasing to the eye (ie: have tape or price tags, are yellowing, etc.)? 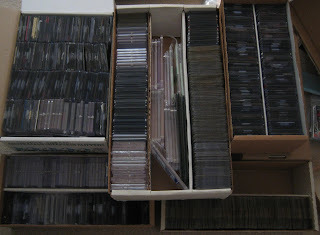 I've saved a bunch of these over the past few years and have also acquired some in my Craigslist hauls, but they are taking up too much space. Usually, I reuse them as shipping supplies, but do I really need all of these? Probably not. Any suggestions outside of dumping them, would be appreciated. Happy Hump Day & Sayonara! 1991 Arena "Holograms" #2 Ken Griffey Jr.
Santa Claus should be here any minute, so I'd better head off to bed. But before I do... I just wanted to wish all of you a Merry Christmas! Have a wonderful day hanging out with your family and/or friends. Sayonara! It's not perfect... but it's damn close. Sometimes I get caught up in all of the memorabilia card and autograph hype... but it's important that you understand that this collector also appreciates "base cards" too. 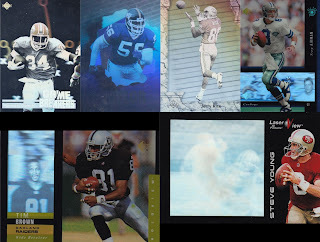 Every now & then... a particular card design catches my eye and if my wallet allows it... I'll either build the set, or buy it. 2009 Upper Deck Goodwin Champions is one of those products. It's one of my favorite sets from the past decade... and I don't say that lightly. Why do I like it so much? Well the base cards have a nice retro feel to it, since they're modeled after the 1888 (N162) set. The beautiful painted pictures are supported by a simple border that resembles the original set. Plus there are a slew of superstars from a variety of sports like MMA, figure skating, and surfing... which is a tribute to the original set that includes oddities like chess players & oarsmen. Okay... so I realize this set isn't for everyone. 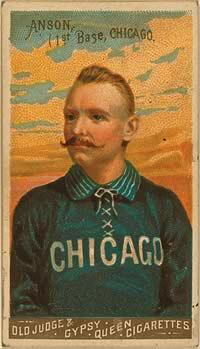 Some collectors dislike "Presidents" mixed in with "baseball players". 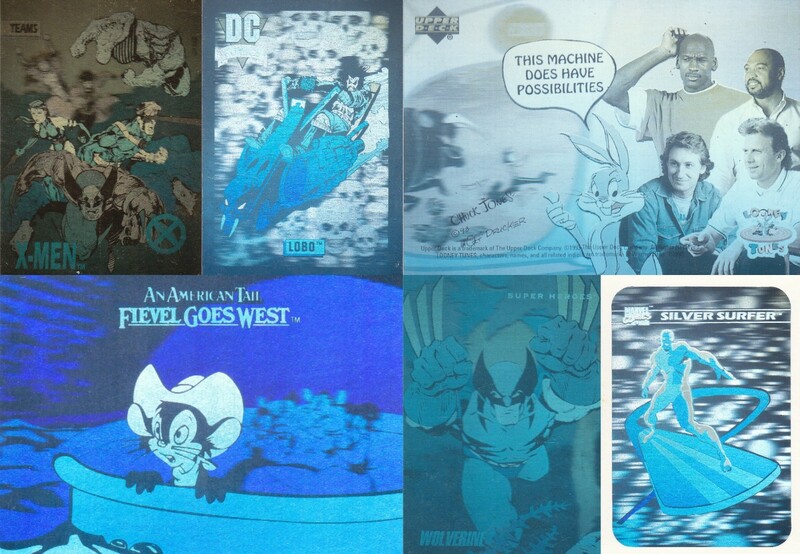 But, I like the variety... especially since that's what the N162 set was about. Others wonder how people like Rick Cerone made the checklist. Even the painted pictures, which I find beautiful and unique, are bothersome to certain collectors who feel that baseball cards should contain photos, not art. But that's the beauty of collecting... everyone has their own preference when it comes to cardboard. I personally have wanted this set since it hit the market back in 2009, but I'm too cheap to bust boxes and build it on my own. 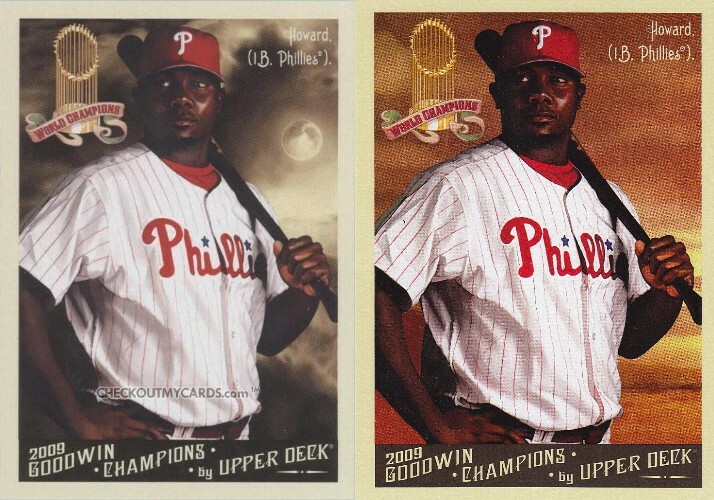 Nope... instead I've had the following as an eBay search for at least a year now: 2009 Goodwin Set 210. 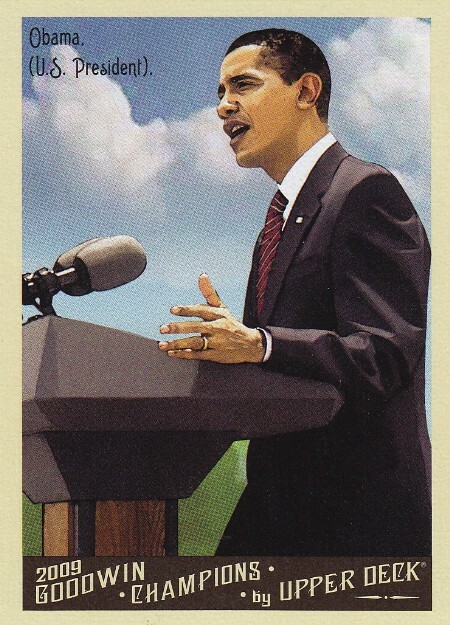 The number "210" represents a complete base set (not the minis/mini parallels... just the standard size cards) including the short prints, but without the "Night Variations". I have no idea how "short printed" the SP's are, but they don't sell for much, so I assume they weren't hard to pull. On the other hand, the "Night Variations" sell for a nice premium... usually in the $3 to $5 range for commons and $8 to $15 range for stars. The jury is still out as to whether or not I'll build this particular fifteen card set. They're sweet looking cards, but I'm not sure I'm ready to dish out the cash. Voila... my final bid was $20.50 (+ $5 shipping). 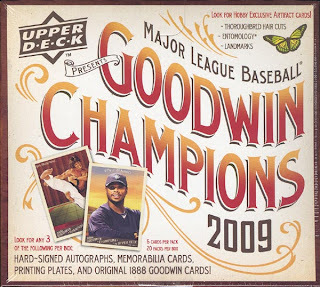 That's $10 cheaper than what DA Card World sells their 2009 Goodwin retail boxes for ($35.95). Is it a steal? Well... not for collectors who dislike this product... but odds are, I'm not going to be able to find this set any cheaper. And considering the fact that I was willing to spend $45 (+ $5 shipping)... I'm pretty happy. Do I think it's the perfect set? Nope... it's hard to fathom why they included Michael Beasley, but not Kobe Bryant. Their player selection issues crossed over into the gridiron. Ben Roethlisberger and Eli Manning? Really? 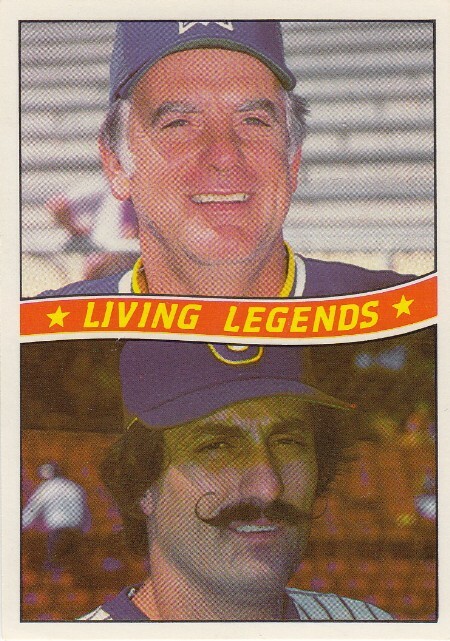 How about replacing them with Joe Montana and Walter Payton? It's also a shame that the football players in the set are pictured in their college uniforms... instead of their NFL ones. Anyways... these were the only key flaws I could find in the set... and in my opinion... the Pro's outweigh the Con's any day of the week. What are some of your favorite "base" sets? Why? Only three more days until Christmas... have a happy holidays everyone. Sayonara! Wes over at Jaybarkerfan's Junk is holding another contest. Earlier this year, he held one of the most entertaining contests I've had the pleasure to be a part of... a contest that lasted over two months. Well this time it's quick and simple. You have until Saturday, December 24th to head over to his blog and tell him who you think had the best blog in 2011. 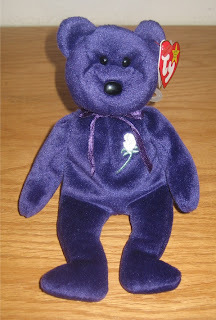 #1: If you blog wins, you receive a prize. #2: The person who nominates the winning blow, will win a prize. #3: If you submit a blog, then you'll be entered into a random drawing for a prize. #4: If you promote this contest on your blog, then you'll be entered into a random drawing for a prize. #1: You may nominate one blog. #2: You cannot nominate your own blog. #4: You cannot nominate someone who has nominated you. So head over there and join the fun... the more the merrier. Plus... if you're looking to add some amazing blogs to your reading list, check out the impressive list bloggers have compiled. Best of luck to everyone who participates and thanks Wes for the great contest! 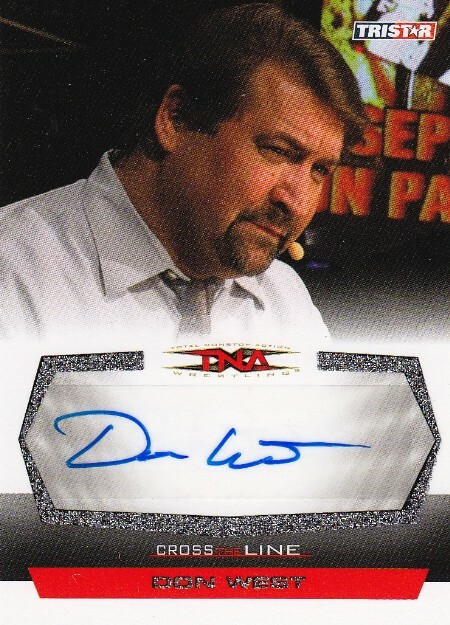 Whenever I'm feeling down and out, I turn to my college buddy and hobby hero... Mr. Don West. During the 90's, Don and I would hang out until the wee hours as he'd entertain me with his legendary sales pitches. 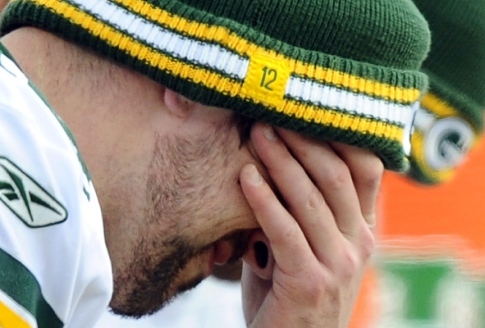 The Green Bay Packers lost their first game of the season. 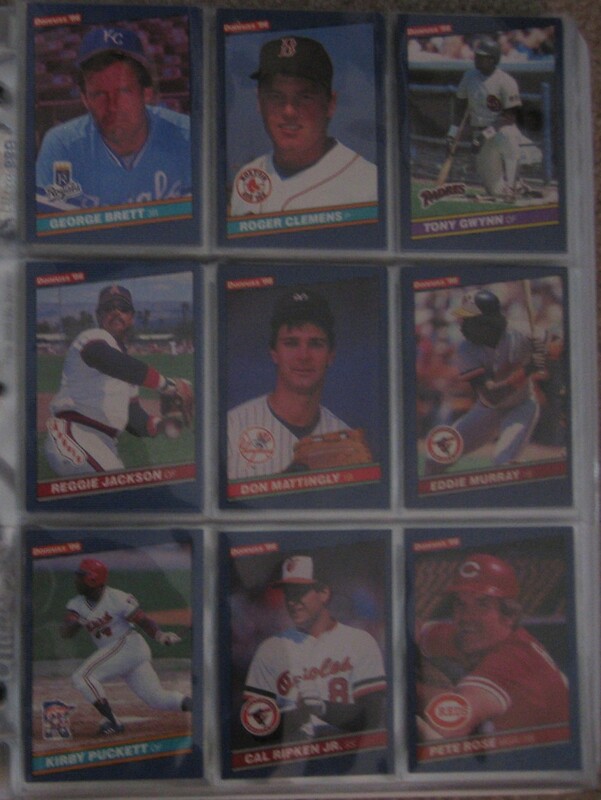 - One hundred baseball cards from the 70's for $34.90 ($29.95 + $4.95 shipping/handling). 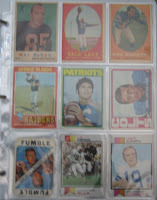 - Each package is unique and randomly pulled from an assortment of killer '70s baseball cards! - Cards in the video are an example of what might be found. - Your cards may or may not arrive in plastic cases. "Nothing that I've ever sold before, in the past compares to this moment right now." "And I mean this from the bottom of my heart... BUY THIS... because this is the greatest deal ever offered on any kind of media in the history of the world and I'm not kidding." "You'll feel so good about yourself". "C'mon... It takes you back to when baseball was pure." "Don't question this deal... just order it." "Order now... and relive your dreams... and go back in time...we don't get that opportunity very often." Alright... what do you think? Anyone else want to "relive your dreams"? Seriously... if I was a billionaire and money wasn't an issue, I'd consider buying one of these just so I could post a review. 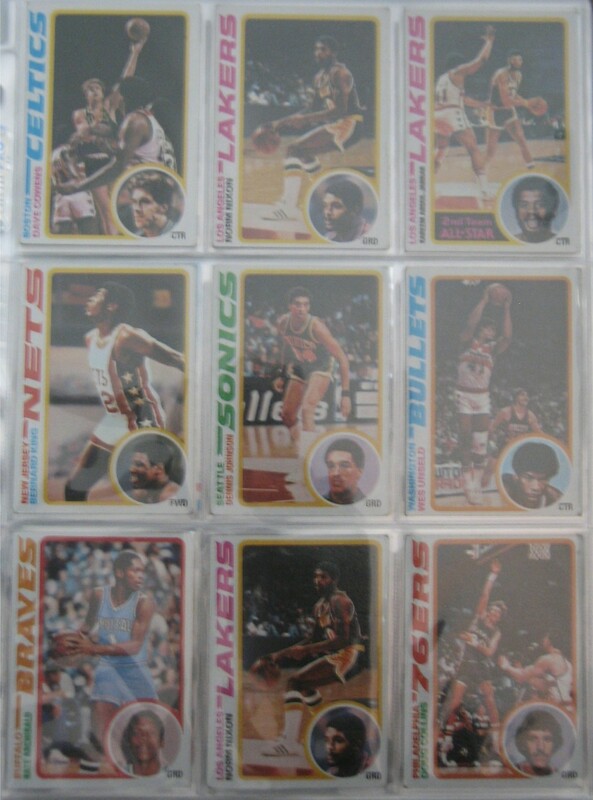 But the fact is... $34.95 can buy me a ton of 70's cards on COMC that I actually want. So, if I have any readers who are wealthy, I implore you to head over to my Don's site... Wild West Deals and pick up one of these packages. If not... I hope at the very least you were entertained by my buddy who's offering "the greatest deal offered on any kind of media in the history of the world." How entertaining do you find this guy? Kwame Brown is stalking me! Brett... what did I do to deserve this?